Made In: New York maybe? Claim to fame: Real sugar, clear, ‘It’ll tickle your innards!’ Retro look. My thoughts: Let’s get something straight right off, I do NOT like regular Mtn Dew. It is way too syrupy and heavy to be refreshing. It feels like drinking diabetes. But, to be fair, if I’m on the road doing some long or late driving, I may grab a Mtn Dew flavor I DO enjoy, like LiveWire, Pitch Black, Voltage or White Out, to help get me down the road with some alertness. It’s very rare I will reach for any kind of Mtn Dew though. With all that being said, I don’t know what about Dewshine made me cast aside my distaste for original Mtn Dew and give it a try, but I did, and I enjoy it. Dewshine is a lighter, lemon-heavy citrus soda that is much more pleasant than the muddled citrus cluster that is the original Mtn Dew, which has no discernible flavors. 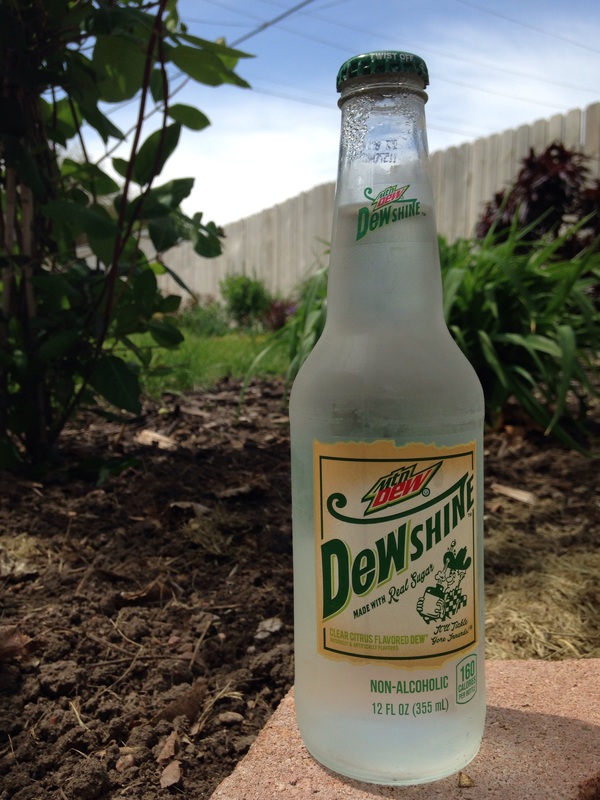 Dewshine is a lot like a sparkling lemonade, actually. But there’s somehow more going on with it. Being made with real sugar never hurts either. Final summation: It’s good. Not great, but good. It’s no Surge or Squirt, but it’s a tasty citrus soda I can honestly recommend. Give it a whirl. Now, enjoy some Daniel Johnston.